Superpoker is a different kind of Internet poker room. All online card rooms offer Texas Hold’em and other standard poker games like Omaha and Stud, but Superpoker also features world-class state of the art poker software. 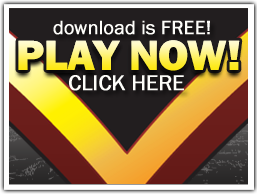 At Superpoker, you’ll find a suite of features and functionality not available on any other poker site anywhere on the Internet. Personalize the Tournament Lobby with our Tournament Filter. Whether it’s the regular schedule, or our Sit & Go action, tailor the lobby to your own poker demands. 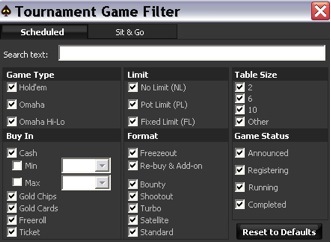 You’ll find the Tournament Filter Bar in the main tournament lobby. Simply click on it to expand the box, and start selecting. Playing online poker, allows you to view a unique perspective on your game play through hand histories. Reviewing these records can be your key to improving your game and sharing your successes with your friends. Superpoker displays these hand histories in a unique and shareable format. If you’re interested in reviewing a hand, select the ‘last hand’ button from the top left corner of your game screen. At Superpoker, not only can users view their hand history graphically but they can also send the hand history directly to anyone else who can then click on the link to view the hand graphically as well. Simply choose ‘create sharable webpage’ to receive your unique hand history link. With this feature, every hand becomes its own webpage useable for website posting, forum chat and of course, gloating. One of the benefits of online poker is the ability to play with anonymity. We protect our players by allowing our players to change their Player ID’s once every 7 days. To change your table nickname, simply visit the Cashier tab. Choose the edit button beside your Player Nickname and you’ll be promoted to submit a new name for your game play.